Since she started watching Korean drama 'Goblin', Anne Curtis couldn't get enough of the said series' lead star, Gong Yoo. 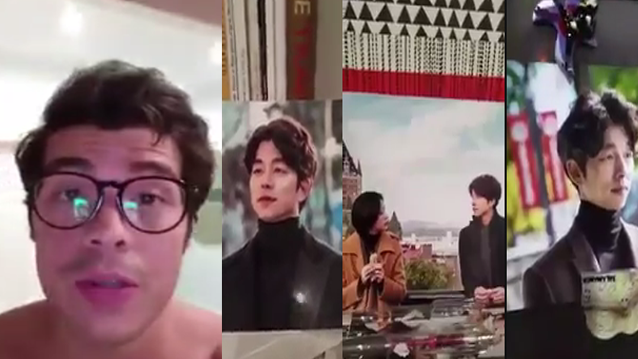 And because the actress is obsessed with the Korean actor, she's collecting photos of him just like any other fan. Anne's fiance Erwan Heussaff, who might be a little bit jealous, made fun of his future wife's collection placed all over their house. A video of it, which was posted on twitter, shows Erwan making annotation to her collection as if he was the Korean actor.